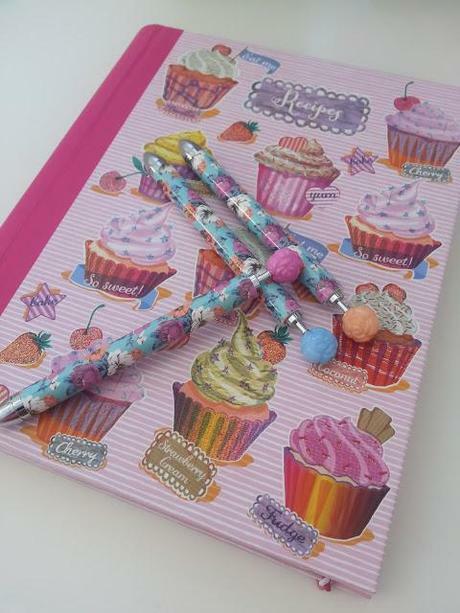 I've been obsessed with pretty stationery for as long as I can remember. I remember the day when my mom let me go into town for the first time ever with my cousin, without any adults. I was 11 years old, and what did I come home with? Some rubbers and pencil sharpeners. This happened every week, but I began to get a little adventurous as the weeks passed and mixed it up a little, throwing a few pens and notebooks in there for good measure! This love has always stuck with me, and now, 16 years later, although I don't buy rubbers anymore, I'm still a sucker for notebooks and pens and pretty filing boxes to stick all our bills in! When leaving London last week, we had a bit of time to kill whilst waiting for our train, so I wandered into PaperChase at Kings Cross and swooned over all their pretty items. I could have bought so much but I do like to be careful with my money. However I was feeling a little flush so had a small splurge and treated myself to this gorgeous recipe book and a pack of pretty floral pens. 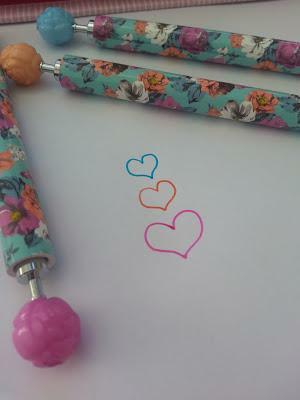 These pens are actually gel pens and are the same colours as the big flower on the end of each pen. 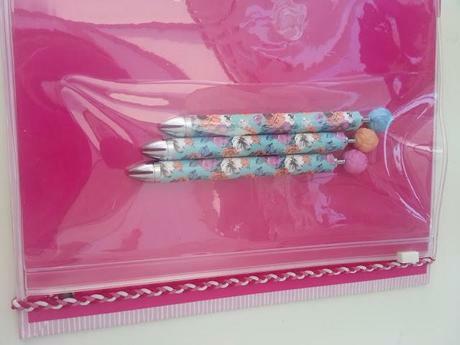 This may be a no-brainer to you, but I assumed they were all biro style standard blue or black pens. I probably wouldn't have purchased them otherwise because I'm not a fan of gel pens (although the ink flows quite nicely) (did I actually just speak about the flow of ink then?). 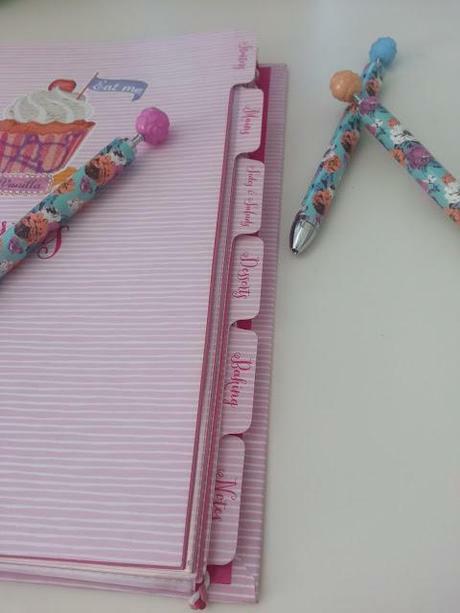 I'm sure I'll have fun writing in pink though! 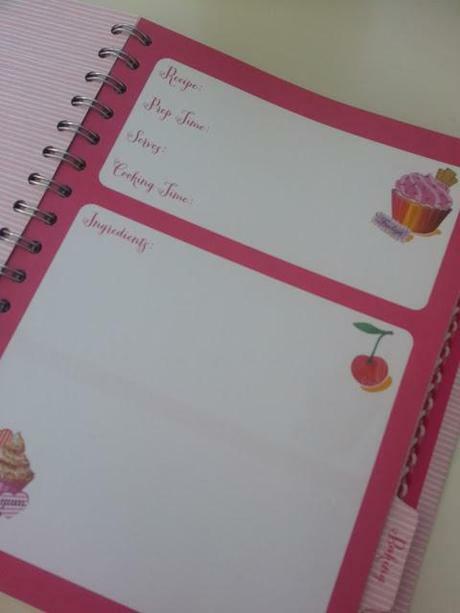 The recipe book is divided into lots of different sections and has a few handy plastic wallets at the back to pop any recipes you may rip out of magazines (which I'm forever doing). It also has a zip-lock bag which again I'm sure will come in handy for notes. I've always wanted one of these but never got round to getting one... only thing left to do now is decide what recipes to put in them. You can only fit 10 recipes per section in, so I'm going to have to think wisely on which recipes will make the cut! Have you got any recipe recommendations for me?! There are so many out there that I find it all a bit too overwhelming to the point of not knowing which one to choose, therefore I wont choose any!